Coach Zauner teaches 'A Natural Style of Kicking and Punting'. These three day PRO Development Camps are designed for Specialists to receive individual instruction in a small group environment. Drill work, video session, evaluations and competition. These Camps Are For Instruction. They Are NOT Combines! ARE HELD AT FOUNTAIN HILLS HIGH SCHOOL. COLLEGE, FREE AGENT & ELITE HIGH SCHOOL SPECIALISTS. 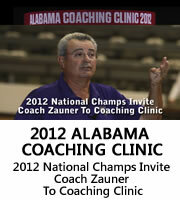 COACH ZAUNER'S ARIZONA 'PRO' DEVELOPMENT CAMPS ARE HELD EVERY YEAR IN FOUNTAIN HILLS, AZ IN JANUARY & MAY. THERE IS ALSO A WISCONSIN 'PRO' DEVELOPMENT CAMP IN MILWAUKEE, WI IN JULY. January 4-6, 2019 - Friday, Saturday & Sunday: Punters, Kickers & Snappers Camp! This Arizona camp is specifically for Free Agent, College Seniors, College Underclassman & Elite High School Specialists going into College. Coach Zauner's ONE on ONE Lessons, PRO Camps and Combines are Producing Results For Many College and Free Agent Snappers. This is a Great opportunity for College Specialists to prepare for next season, Bowl Games, PRO Day workouts or my College Senior Specialist's Combine. 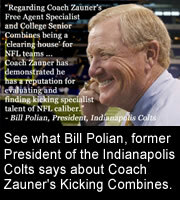 Also, for Free Agent's to prepare and/or qualify for the Free Agent Specialist's Combine. Take Your Game To The Next Level! January 11-13, 2019 - Friday, Saturday & Sunday: Snappers ONLY 'Vital Man' Training Camp! This Arizona Snapping camp is specifically for Free Agent, College Seniors, and Underclassman College and Elite High School Snappers to refine their individual technique and skills to become more consistent. This is a great opportunity for College specialists to prepare for next season, Bowl Games, PRO Day workouts and my College Senior Specialist's Combine. Also, for Free Agent's to prepare and/or qualify for the Free Agent Specialist's Combine. Take Your Game To The Next Level! May 10-12, 2019 - Friday, Saturday & Sunday: Kickers, Punters & Snappers Camp! This Arizona camp is specifically for College Underclassman, Elite High School Specialists going into College and Free Agent Specialists. Coach Zauner's ONE on ONE Lessons, PRO Camps and Combines are Producing Results for many College and Free Agent Snappers, Punters & Kickers. This is a great opportunity for Specialists to prepare for their next College season and potentially an NFL career. These camps are also for Free Agent Specialists to qualify for next years Free Agent Combine in Gilbert, Arizona. Take Your Game To The Next Level in Arizona. June 28-30 , 2019 - Fri., Sat. & Sun. 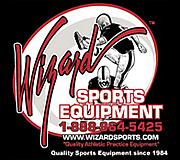 - Wisconsin Kickers, Punters & Snappers Camp! July 12-14, 2019 - Fri., Sat. & Sun. - Wisconsin Snappers ONLY Training Camp! Coach Zauner's Parent Room Rate: May 2019 Camp - $TBA Plus Tax click to Book Hotel Reservation: May 10-12, 2019 Camp. These Camps are held at outdoor facilities and will be conducted regardless of weather conditions. Camp schedule subject to change without notice. All camp cancellations 72 hours or less will be subject to $150 cancellation fee!